Backed by profound experience of the industry, we are presenting a vast variety of Universal Testing Machines. The products we offer are manufactured using optimum grade raw material which is sourced from trusted vendors of the market. All these machines are designed in compliance with industry laid norms and guidelines. Customers can avail a wide range of products under this category such as Analogue Universal Testing Machines, Computerized Universal Testing Machines, Computerized Testing Machines, Computer Controlled Ball Screw Driven Testing Machines, Electronic Extensometer, Automatic Universal Testing Machine, Analogue Universal Testing Machines, Computerized Universal Testing Machines, Computerized Testing Machines, Compression Testing Machines, Computer Controlled Testing Machines, Horizontal Chain & Rope Testing Machines, Electronic Extensometers and Mechanical Extensometers. Leveraging on the vast experience of this domain, we are engaged in manufacturing, supplying and exporting Spring Testing Machines. The machine is table mounted, digital & hand operated. Load measurement by load cell & displacement by rotary encoder. LCD display on DAS panel for Load & Displacement. Standard load resolution is with 10,000 counts. Finer resolution (Optional) with 20,000 counts can also be offered at extra cost. Standard displacement resolution is 0.01 mm. Vertical day light is 300 mm. Tension Shackles & Compression plates are provided for Tension & Compression springs. It is possible to use a number of load cells, say two or three, to cover much wider range of load, to suit the application. Cost of one load cell is included in the price, but additional load cell will be at extra cost. In order to fulfil the ever-changing demands of our clients, we have engaged in offering a quality range of Compression Testing Machines. These machines are manufactured using the superior quality raw material, procured from reliable vendors of the market. 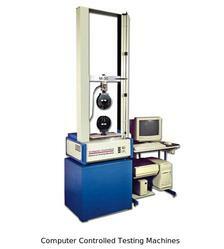 All these compression testing machines are widely acclaimed in the industry for its excellent load stabilizer. To meet the diverse needs of our clients, all compression testing machines are offered with analogue, digital and computerized versions. Further, the loading accuracy of these machines is within +-1% in accordance with IS 1828 /BS 1610 as per international standards. 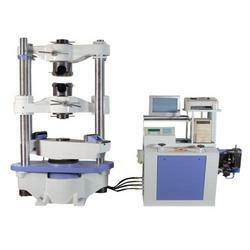 We are stalwarts in manufacturing, supplying and exporting a wide assortment of Automatic Universal Testing Machine. These machines are designed under the supervision of quality engineers employing international quality standards and guidelines. Owing to features such as automatic data capture facility, storage and graphics display, these machines are widely demanded in the market. 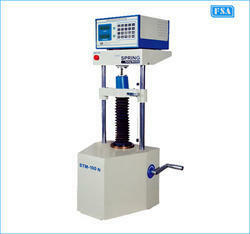 Our clients can avail these testing machines from us in varied sizes and other specifications as per their requirement. 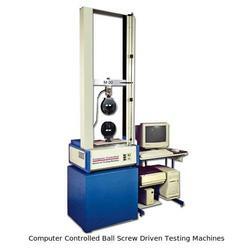 Being a customer focused organization, we are engaged in offering a wide gamut of Computer Controlled Ball Screw Driven Testing Machines. These machines are widely demanded in the industry for testing various materials like rubber, plastic, ferrous metals, non-ferrous metals. Adding to this, it has AC Servo motor which helps in maintaining the speed of the machines. Our clients can avail these products from us by paying through varied simple modes as per their ease. Owing to a profound experience of the industry, we are offering a gamut of Computerized Testing Machines. These are developed employing latest technologies and high-tech machines in compliance with industry set norms and guidelines. Patrons can avail these products from us in various sizes by paying through variegated simple modes as per their convenience. Further, all these machines have two control panels, analogue and computerized panels but only one system can be used at a time. 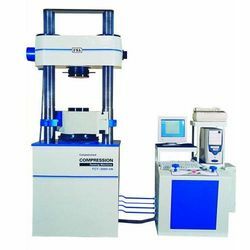 We are one of the renowned company for manufacturing, supplying and exporting a wide assortment of Computer Controlled Testing Machines. 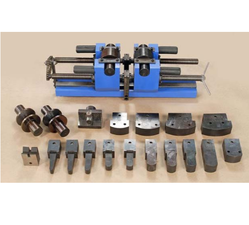 These machines are used for testing a wide range of materials like rubber, plastic, ferrous metals and non-ferrous metals on the basis of various tests such as Tension, Compression, Transverse, Peel off, Bend and Shear. Moreover, our clients are provided with safety provisions for overloading and over travelling. 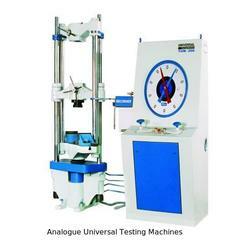 We have in our store a wide and remarkable range of Analogue Universal Testing Machines. All our products are developed with the guidance of experienced quality inspectors as per the international guidelines. 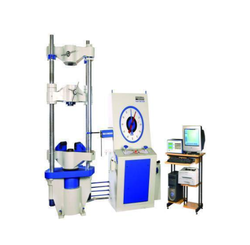 These universal testing machines are widely used in the industry for testing various metallic materials on the basis of different parameters such as tension, compression and transverse action. Adding to this, these machines have attachments for Brinell tests and Tensile tests, Washer tests and Double shear test. We are stalwarts in manufacturing, supplying and exporting a wide assortment of Automatic CI Blue Universal Testing Machines. These machines are manufactured using the high-grade raw material in tandem with international quality standards and guidelines. 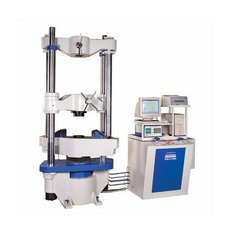 Owing to features such as automatic data capture facility, high tensile strength and low maintenance, these machines are widely demanded in the market. Our clients can avail CI Blue Universal Testing Machines from us in varied sizes and other specifications as per their requirement. We have established ourselves as coveted organization, involved in manufacturing, supplying and exporting a wide range of Computerized Testing Machines. These are manufactured using the optimum quality raw material in accordance with industry laid norms and international guidelines. The computerized testing machines offered by us are widely appreciated in the market for analogue as well as computerized control panels. Further, our clients can avail these products from us in varies sizes and other specifications. We are instrumental in manufacturing, supplying and exporting a wide assortment of Computerized Universal Testing Machines. Manufactured using superior quality raw material and modernized machinery, our entire range is designed in compliance with international quality standards. These machines are widely used in industry for automatic data capturing, graphics and storage display. 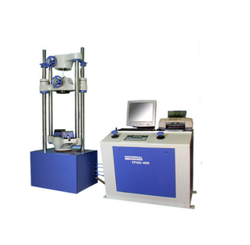 Further, these testing machines consist of various special features such as on-screen calculation and digital printer. We are stalwarts in manufacturing, supplying and exporting a wide assortment of Automatic Universal Testing Machine. These machines are manufactured using the high-grade raw material in tandem with international quality standards and guidelines. Owing to features such as automatic data capture facility, high tensile strengthandlow maintenance, these machines are widely demanded in the market. 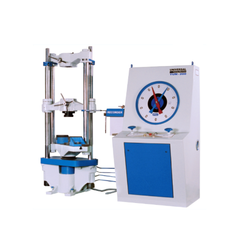 Our clients can avail these Universal Testing Machine from us in varied sizes and other specifications as per their requirement. We are offering Accessories of Universal Testing Machinesto our clients. Banking on the skills of our qualified team of professionals, we are involved in providing Universal Testing Machine. We are stalwarts in manufacturing, supplying and exporting a wide assortment of Automatic Digital Universal Testing Machine. These machines are manufactured using the high-grade raw material in tandem with international quality standards and guidelines. 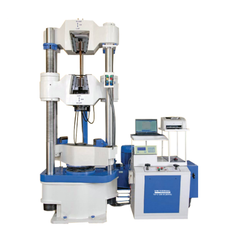 Owing to features such as automatic data capture facility, high tensile strengthandlow maintenance, these machines are widely demanded in the market. 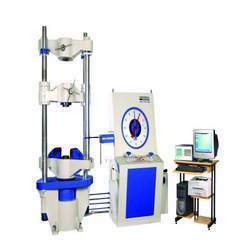 Our clients can avail these testing machines from us in varied sizes and other specifications as per their requirement. With the help of experienced professionals, we are able to manufacture, supply and export a wide assortment of Computerized Universal Testing Machines. The product we offer is manufactured using quality tested raw material which we source from reliable vendors of the market. These machines have automatic data capture, storage and graphics display which helps in storing details of the data. We offer these machines to our clients in various sizes and other specifications as per their needs. Looking for Universal Testing Machines ?